In our homes, there are different ways on how we can bring plants inside. You can have an indoor garden, a living green wall, potted plants and vases. 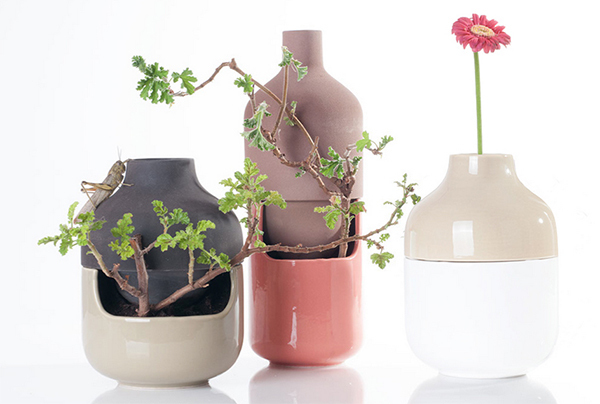 But the easiest way are vases and pots. That is why there are beautiful pot and vases designs because this could also be added decors for the home aside from being carrier of plants and flowers. Well, it would really be nice to have plants in the house in whatever way you may want to place them. What we are going to show you today is a unique type of vase. It is comprised of two parts and is called Bothles. It is a mix of glazed ceramic and non-glazed clay. The upper part holds the water while the lower part is a planter. 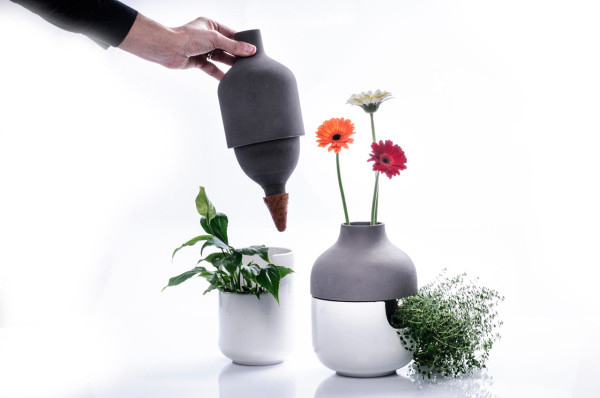 It is designed to both hold plants and flowers. There is a cut were the plant can go out and breath while there is a small opening for the flowers too. Here are images of Bothles so you can understand what this vase really is. The vases come in various designs but the same two part style. 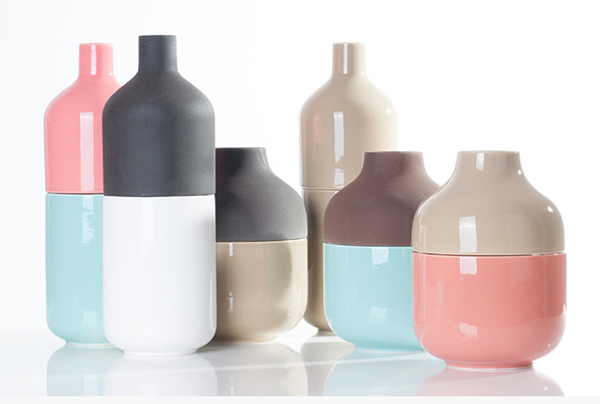 I love the contrast of glazed ceramic and non-glazed clay used for these vases. 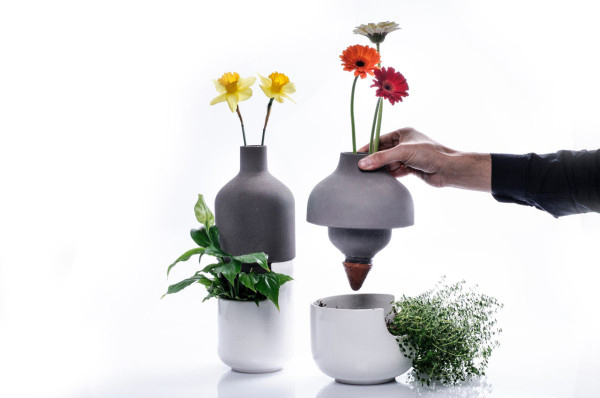 The upper element of the vase becomes twice useful as it holds water and a flower at the same time. And they come in lovely color combinations too. Aren’t they cute? They look even better with flowers and plants on it! You can see here the part that holds water with a pointed part that distributes the water to the soil. 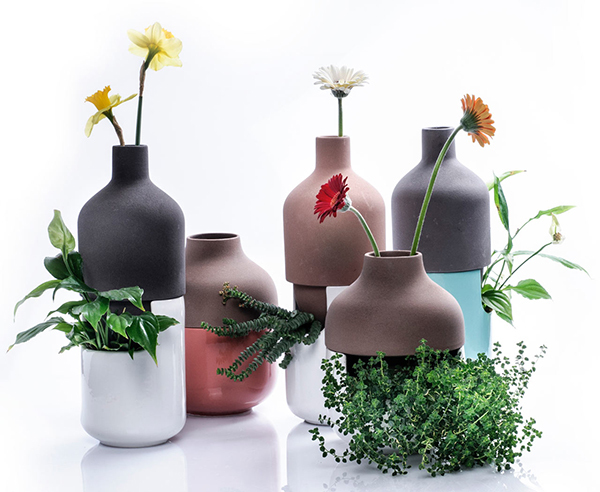 This vases was designed really well and everything was well-considered. 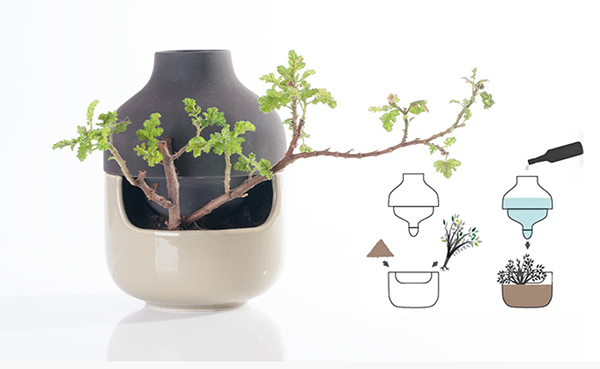 For a better understanding of how the vase works, take a look at this figure. 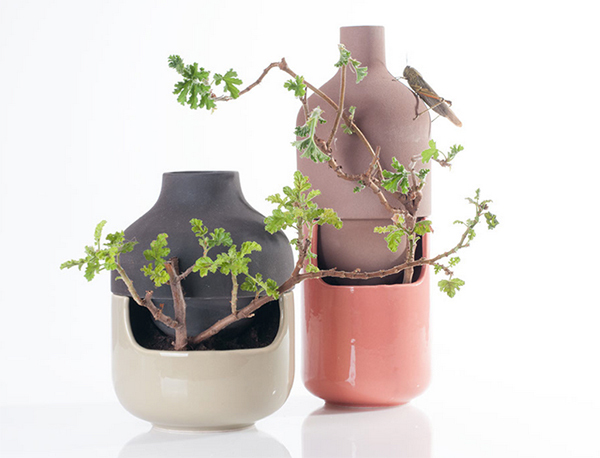 The Bothles vase has a double play between useful and decorative. It is interesting how the plants can peep from the middle part and how the uppermost lip can carry a flower. Lovely, right? This is designed by AAIDO MA, and produced by Lithho Ceramic Italy. With the way it turned out, we can tell that the collaboration was indeed a success. 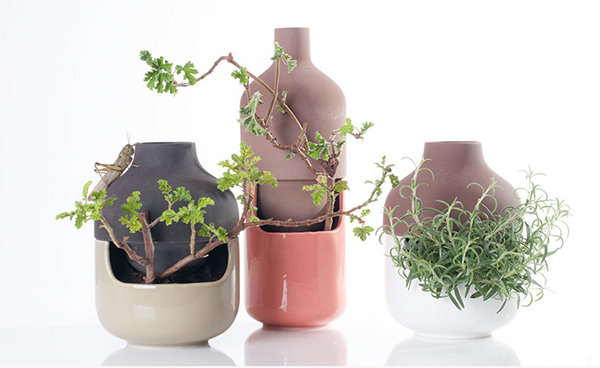 I can imagine that these vases would bring in a different kind of decor into the house!